Sergio’s Ristorante Italiano is Silver Spring’s go-to for authentic, homemade Italian food in a quiet and cozy environment. "Nobody leaves hungry under our roof." "Creamy, savory, and filling. That right there is a triple play, and we plan to knock all of your meals with us out of the park." "If you haven't already, add our Fettuccine ai Frutti di Mare to your "to-eat" list." Excellent manicotti, ravioli and reasonably priced wines. This is a hidden gem in the "basement" of the hotel. Sergio and at least one of his sons are there all the time. A Supreme Court Justice has been known to eat there! Yes, I'd like to receive news from Sergio Ristorante Italiano. 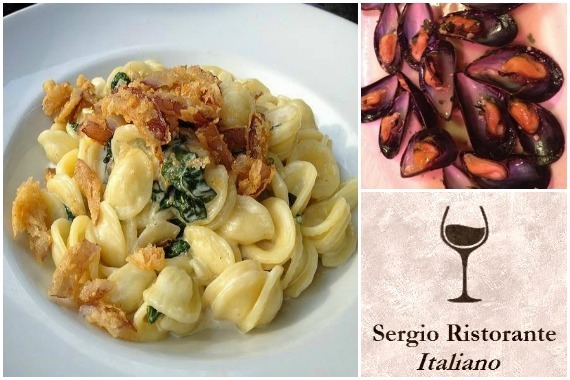 Sign up for the Sergio Ristorante Italiano Newsletter!